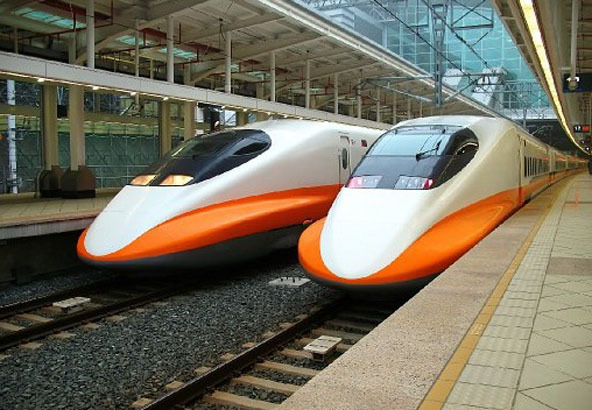 Taiwan High Speed Rail (THSR or HSR) is a high-speed rail line that runs approximately 345 km (214 mi) along the west coast of Taiwan, from Taipei to the southern city of Kaohsiung. 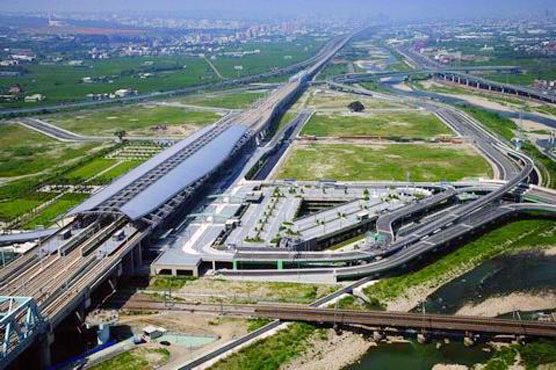 Constructed by a private company, Taiwan High Speed Rail Corporation (THSRC), which also operates the line, the total cost of the project was US$18 billion. At the time it was built this was one of the world's largest privately funded rail construction schemes. The line runs on viaducts or through tunnels for most of its length. Technology was mainly based on Japan's Shinkansen (新幹線) system mixed with European standards and components. The THSR 700T train series is a variant of the 700 Series Shinkansen and was built by a consortium of Japanese rolling stock manufacturers. 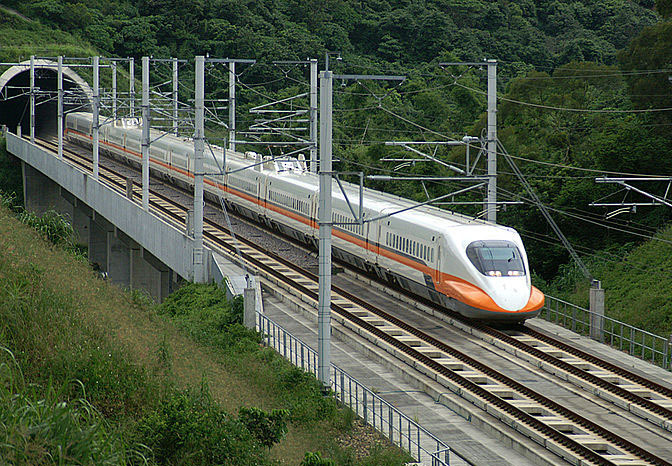 The THSR opened for service on January 5, 2007, with a top speed of 300 km/h (186 mph), which offer journey times from Taipei to Kaohsiung as short as 96 minutes. 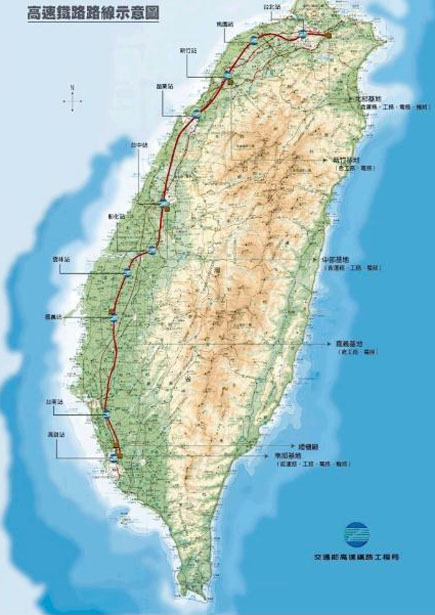 In comparison, trains operating by the Taiwan Railway Administration (TRA) would take over four hours. Tickets are more expensive than on trains or express buses, but cheaper than those for airplanes. Most intermediate stations on the line lie outside the cities served. Ridership initially fell short of forecasts, but grew from fewer than 40,000 passengers a day in the first few months to over 110,000 passengers a day in 2011. Once THSR began operations, almost all passengers switched from airlines flying parallel routes, while road traffic was also impacted.